10 Apr 2019 --- Greenleaf Foods SPC is to construct what it says will be North America’s largest plant-based protein manufacturing facility in Shelbyville, Indiana. “To meet the rising demand for plant-based protein alternatives, the US$310m facility based in Shelbyville, Indiana, will more than double the production capacity for Greenleaf’s category-leading brands,” Greenleaf’s President tells FoodIngredientsFirst. The new 230,000-square-foot facility Shelbyville facility, expected to become operational in late 2020, will create 460 jobs and can be expanded to meet future market growth. The facility will also extend the company’s network of production facilities, which includes bases in Seattle, Washington and Turners Falls in Massachusetts. Additionally, the company plans to invest in equipment to increase capacity and scale production at its existing facilities. In January 2019, the Lightlife Burger, Ground, Italian Sausage and Bratwurst Sausage were launched as part of a new pea protein-based product line that delivers the sensory experience and taste consumers crave, marking the brand’s most significant innovation launch in its 40-year history. The new line will be among the products made at the new facility, along with other best-selling products from the Lightlife and Field Roast Grain Meat Co brands, touted as the #1 and #2 brands in the US refrigerated alternative protein category. “Our new facility will be a center of plant-based protein excellence that helps accelerate our company’s growth. This will support our rich pipeline of innovative products that both satisfy increasing consumer demand and drive our continued leadership of this dynamic category in the US and Canada into the future,” says Dan Curtin, President of Greenleaf Foods, SPC. 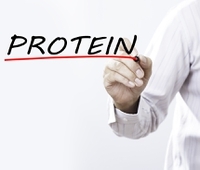 “We anticipate continued growth in the plant-based protein category and the 57-acre site is designed for further expansion,” he tells FoodIngredientsFirst. “Millennials are leading the charge of reducing their traditional meat consumption and are supplementing their diet with more plant-based meats. Nearly eight in 10 US millennials eat meat alternatives, compared to more than half of non-millennials. These consumers are driven by a variety of factors, including taste, health and the environment. Nearly half of US consumers cite health concerns – particularly heart health and weight management – as the reason for consuming plant-based meats,” he explains.